Grown Men Reading ‘Nancy’ – Sig Nordal, Jr.
March 17, 2018 Sig Nordal, Jr. 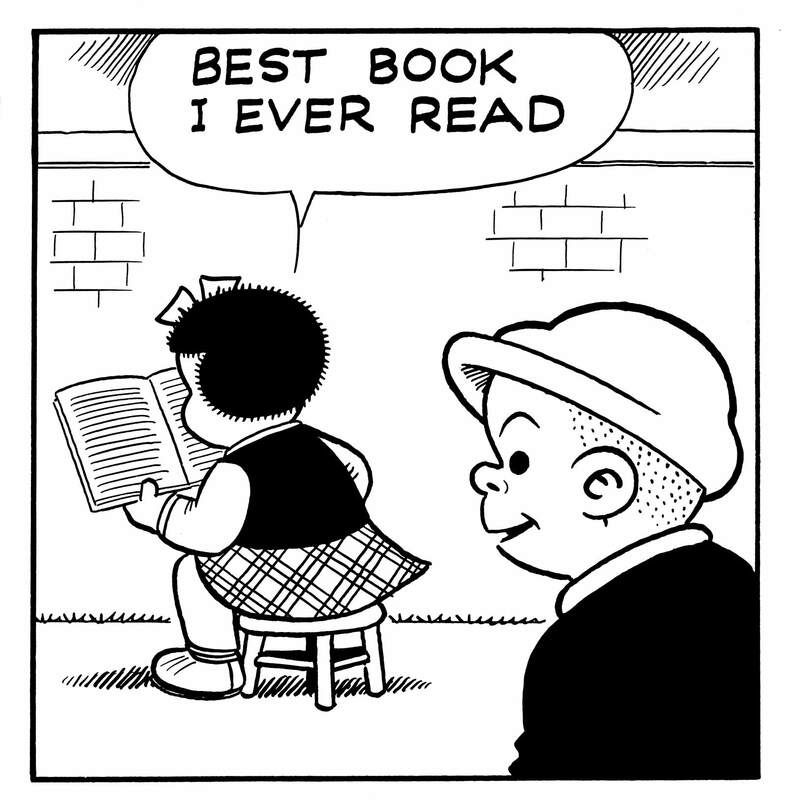 The appeal of Nancy to the art comic crowd might seem counter-intuitive, but while Nancy was never particularly clever, it was always cleverly constructed. In fact, the accomplishment of Nancy, with its refined, reduced lines and preoccupation with plungers and faucets, might primarily be a matter of form. The beauty of cartooning may be difficult to appreciate, especially for those who have not been versed in cartooning for years. By dissecting this gag strip so systematically, How to Read Nancy is important for people working in the form, and also for the cartooning medium as a whole to be understood and recognized as the unique art form that it is.